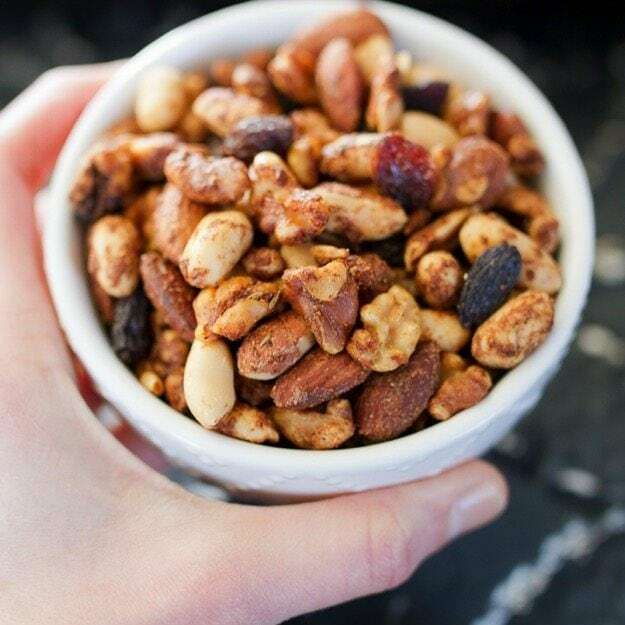 A crunchy snack mix featuring a blend of nuts and seeds coated with cajun-inspired seasonings. Add raisins for some sweetness or skip them for a low-carb snack! This Cajun Trail Mix is perfect for parties, game-day or mid-afternoon snacking. I’m so pumped that you all are just as excited as I am about EBF Trail Mix week! Who knew there were so many trail mix lovers out there? Today’s cajun trail mix is for those of us who crave flavor and spice. I’m no cajun spice guru, but I’m pretty sure this cajun trail mix has all the right components. And even if it doesn’t, it’s finger-licking good and that’s all that matters. Right? The best part? 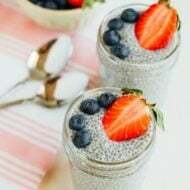 This mix is super simple to make! 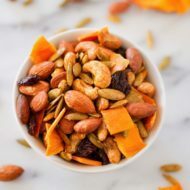 Start by tossing together your peanuts, walnuts, almonds and sunflower seeds, covered them in a spicy blend of seasonings and dried herbs and roast to perfection. Once the nuts have cooled you can add a few raisins to the mix for a hint of sweetness. The raisins are optional and if you’re looking for a low-sugar mix, you can certainly leave them out, BUT they do add a sweet component that helps balance the heat. The flavor reminds me of the pub mix that some bars give you to munch on while sipping your drink. Can I let you in on a little secret? I always get excited when a bar offers a mix like this because I love them… usually even more than the drink I’m sipping. Although I will say, I usually only eat the mix if a small bowl is given to each guest. If it’s a communal bowl for the whole bar with lots of people putting their grubby fingers — no thanks! 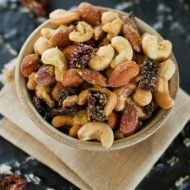 I can’t be trusted around delicious nutty mixes and this cajun trail mix is no different. I think we polished off the whole mix in less than a day. And by we I mean I ate most of it and Isaac has like two handfuls. Oops! That said, definitely double the recipe if you’re planning to take the mix to a party. It will go fast! 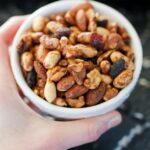 You might also check out my roundup of trail mix recipes if you like the cajun mix recipe. 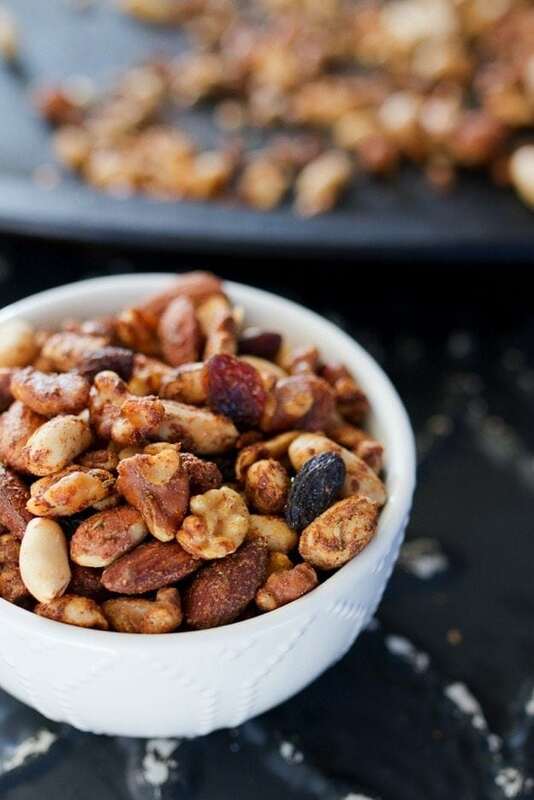 A crunchy snack mix featuring a blend of nuts and seeds coated with cajun-inspired seasonings. Add raisins for some sweetness or skip them for a low-carb snack! Preheat oven to 325°. Place all ingredients except raisins in a large bowl and toss to combine. Make sure all the nuts have a little seasoning on them. 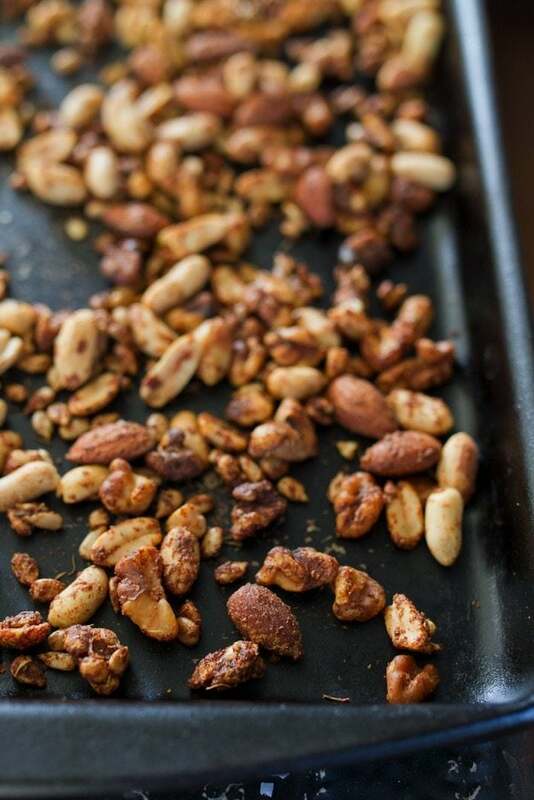 Spread nuts evenly on a baking sheet lined with parchment or a baking stone. 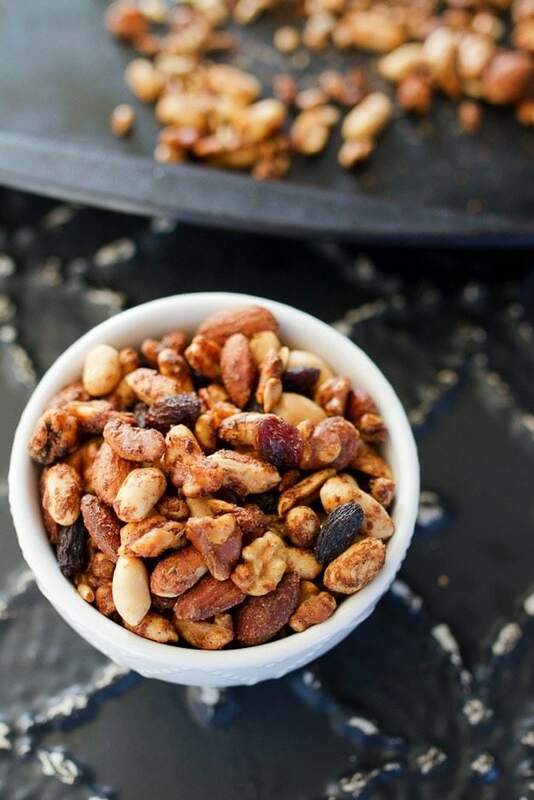 Bake for 15-20 minutes, toss nuts about half way through roasting and watch them carefully near the end making sure the nuts don’t burn. Remove once nuts are golden brown. Cool completely before adding raisins (if using). Stir mixture together and serve or place in an air-tight container for storage. 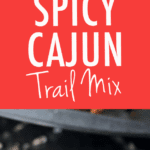 If you make this cajun trail mix please leave a comment and star rating below letting us know how it turned out. Your feedback is so helpful for us and helps other EBF readers as well! Great recipe for Mardi Gras Day!! Looks delicious, will be trying this one. Thanks! This sounds delicious!! I love a good trail mix. How good it is that such snacks can be healthy. I love nuts they are delicious and crispy. Knowing that they contain a lot of vitamins, minerals and omega-3 makes me even more likely to eat them! I try to eat no more than a handful a day but it’s impossible. When I start to eat it’s so hard to stop, do you feel the same? Love that spice mix!! I also like how simple this is to elevate nuts into a more exciting snack. Excited to try this one out! Somethin’ yummy to munch while I’m driving. But I surely have to bring some drinks so I won’t have an itchy throat. Nice post! Made this tonight. Subbed pecans and pistachios for the peanuts as we are taking this camping with peanut free family. I am also using cherries instead. The spices are amazing right out of the oven. Can’t wait to give it a try! Love that you reference Richmond bars – I am a Spider myself. Love Love Love Richmond! Thank you Brittany for posting this one. Did a couple minutes modifications (packet of stevia subbed for Maple syrup), left out the peanuts and walnuts, and used smoked paprika. And left it all RAW. SO delicious. This recipe is a keeper! !